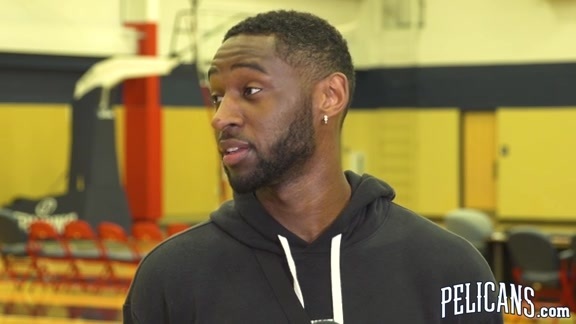 While the majority of the New Orleans Pelicans’ roster entered last season with minimal postseason experience, Ian Clark had just won a championship ring with Golden State and reached two consecutive NBA Finals. Still, he didn’t feel entirely comfortable walking into a new locker room and acting like his teammates needed to immediately follow his lead. Chalk it up as a lesson learned, because once the 6-foot-3, 175-pound combo guard found his niche on and off the floor for the Pelicans, the results were unmistakable. Clark averaged 5.8 points per game for New Orleans prior to the All-Star break, but after it, nearly doubled his scoring output to 11.0. He also increased his accuracy in every major shooting category, shooting 48.8 percent from the field, 36.8 percent on treys and 90.5 percent on free throws. During his third straight trip to the NBA playoffs, Clark was vital in a Game 1 win at Portland, dropping in 10 points on 4/5 shooting. In the team’s second-round Game 3 victory over his old Warriors team, he deposited 18 points on 7/11 shooting in a 119-100 triumph. The 27-year-old had signed a one-year deal with New Orleans in the ’17 offseason, meaning he was again a free agent this summer. 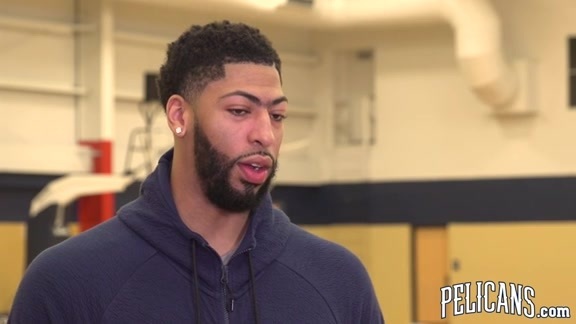 His decision to return to the Pelicans was based partly on the enjoyment he derived from being part of the club’s postseason run, as well as some motivation to build upon what he and his teammates achieved. “One of the reasons I wanted to come back was the season we had, the strides we made as a team,” Clark said. “The camaraderie we built was unique. I wanted to be a part of that again. I loved being in the locker room with the guys, and the fun we had off the court. We have guys who want to win together. The Memphis native and Belmont University product wants to replicate the results he produced in March, April and May of last season, hoping to start ’18-19 quickly. He believes a full year under his belt in New Orleans will help, on and off the hardwood. Despite a red-hot 20-8 close to the ’17-18 regular season and the resounding first-round sweep over Portland, New Orleans players have heard some skepticism surrounding their outlook for this season, based at least partly on roster changes. Clark wants the Pelicans to build on what was the franchise’s best season in a decade, by improving upon a 48-win season and taking another step forward. If they do so, it would mark a second straight campaign of exceeding outside expectations.